What a great day! Together we pledge to Press for Progress in supporting, houraging, and demanding gender parity. What will you do to Press for Progress in 2018? Earlier that week that week Carassent Care hosted the official ribbon cutting to kick off International Women's Week...because one day is not enough, in the Municipality of Marmora and Lake. Thank you to organizers and speakers...it was lovely! I also had the honour of being part of Sacred Heart Catholic School's International Women's Day Conference on March 8th. What a great morning! I was doubly blessed to then be asked to be interviewed by Sean Kelly on 97.1 Radio and then on Weekend Magazine on CJBQ. Thank you everyone. The Fourth Annual Toronto Spring Psychic Fair & Expo at Exhibition Place April 7-9 is now over. And, we at First Star want to thank all exhibitors who participated at the show for making it the incredible hit it turned out to be. The response from visitors to the show about the high caliber and professionalism of our exhibitors and how much they enjoyed the show was overwhelming. The comment we heard most was how much they look forward to coming back to the show when we return next year. Again, our humble and sincere thanks to everyone involved in contributing to the success of the show. I was honoured to be one of many speakers during the Fair. My talk Power of Your Thoughts was well attended and I got to use my hypnosis! Marmora — “We’ve got everything, mind, body and spirit, celebrated,” said Rev. Janice Chrysler, the inspiration and organizer of a week filled with events that culminate with International Women’s Day (IWD), March 8. For Chrysler the support of the Municipality of Marmora and Lake with an official declaration and ribbon cutting ceremony brought the event to the forefront in the community. Marmora’s Deputy Mayor Linda Bracken and Coun. Elaine Jones joined Rev. Chrysler to cut the ribbon and begin the festivities. “I have been celebrating International Women's Day in Marmora for six years expanding it three years ago to include all the businesses with the municipality's declaration,” said Rev. Chrysler, spiritual growth facilitator, Mindful Journey. To show their support and participation businesses displayed large purple and white bows on their storefronts. The gathering at the foundation during the official first day, gave women the opportunity to socialize and network with coffee, cookies and celebration. Rev. Chrysler said mini sessions, vendors, food and more at the Marmora Community Centre on Saturday, March 4, reflect not only the local theme, but IWD’s campaign #BeBold For Change with Healing Circle Spiritual Growth class members hosting a community meditation. On Sunday, March 5, a free essential oils workshop facilitated by Michele LeRoy of Young Living Oils, Feeling Kit ... Inner Child Journey, at the William Shannon room brought more women together. Tuesday, March 7, was a celebration of the wisdom of the crone, a women’s night only event hosted by Mindful Journey which “looks at the beautiful and inspiring wisdom of the female elders through ritual, meditation and laughter. International Women's Week makes the news! Marmora — On March 8, 2017, it will have been more than a century since the first International Women’s Day (IWD) was celebrated, but for Rev. Janice Chrysler, “one day is not enough,” so for the past several years she has been organizing a week of events. To help, the Municipality of Marmora and Lake has, for the past three years, declared March 1 to 8 International Women’s Week. During this week area women will be promoting their businesses and services with special offers, workshops, demonstrations and more. As well, local businesses will honour the women in their community by placing large purple and white bows made by Sue’s Flowers on their storefronts. “I think it’s important for women in Marmora to be part of the International Women’s Week not only as business owners but as strong women in the community to inspire other women to take part and inspire younger women to get involved in their community and possibly inspire them to open their own small business,” said Wendy McCoy, co-owner of Possibilities, a specialty shop in town. Using the hashtag #WomenJustWanttoHaveFun, Rev. Chrysler said the speaker sessions will reflect that theme along with IWD’s campaign #BeBoldForChange. I’ve always been an advocate for equal rights for everybody,” she commented. March 4 has been set aside to do just that. Activities for the week start with the official ribbon-cutting ceremony Wed. March 1 at 10:30 a.m. at the Marmora Historical Foundation building downtown and include: the Women in Wellness hosted by Chrysler’s business Mindful Journey; a daylong event March 4 at the community centre featuring mini sessions, vendors, food and a healing circle spiritual growth class in a community meditation, door prizes, guest speaker and more; a free essential oils workshop March 5; Celebrating the Crone March 7; and Rev. Chrysler said the week wraps up March 8 when IWD is celebrated globally. Rev. Chrysler is a spiritual growth facilitator living in Marmora. More information can be found at mindfuljourney.ca/about-rev-janice-chrysler. For the week’s schedule go to healingcirclemeditation.wordpress.com/international-womens-week. Thank you to Margriet Kitchen for this write up in News On 7. Just one correction, the ribbon cutting will be at the Marmora Historical Foundation 10:30 March 1st. I get all the things ready for our circle. Everyone is smudged as we begin forming the sacred circle. A lovely group of women gathered at the Marmora Dam for a fabulous evening of drumming. What fun to be interviewed by Ophelia! Listen here for our chat on Friday May 13th where I talked about my newly released book, Make It Happen. Rev. Janice Chrysler Makes it Happen with the Release of Her Debut Self-Help Book! Read Jenn's press release in the Community Press. MARMORA - People here are being encouraged to show their support for women everywhere next week. Beginning next Monday, residents and business owners will celebrate International Women’s Week throughout Marmora and Lake. Rev. 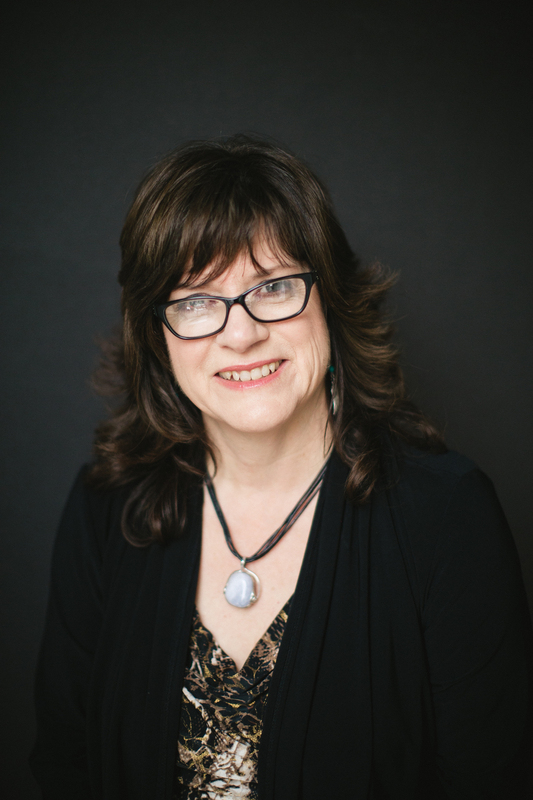 Janice Chrysler, spiritual growth facilitator and owner of Mindful Journey, said Monday she’s been involved with International Women’s Day events for about five years. The day is typically recognized on March 8. Marmora and Lake, however, has declared next week as a week to recognize women everywhere. Local businesses are encouraged to show their support of equality in the workplace and the importance of the contribution women of the community make in all areas of life. That initial event has since grown into a Women in Wellness event – free and open to everyone – featuring various wellness vendors. As Marmora and Lake declares the week of March 1 through 8 as International Women’s Week... “because one day is not enough”, Chrysler is encouraging more people to get involved. The week will kick off with a ribbon cutting at 9 a.m. on March 1, at Flowers by Sue. Business owners and residents can make a public show of support by displaying a purple and white bow – available at Flowers by Sue – on their shop or home door. On March 8, Chrysler will be facilitating a free workshop at the William Shannon Room called Awaken the Inner Goddess – with a focus on self-empowerment. This year’s International Women’s Day theme is Pledge for Parity and while much has changed since women began fighting for equal pay for equal work, Chrysler said she believes some organizations still fail to adequately compensate women for their work. Further, she fears women today may lose what previous generations have worked hard to earn. “You can lose what you’ve earned very easily,” she said. To represent the colours of International Women’s Day, Chrysler will wear something purple, white or green each day during the week and encourages others to do the same.